McKinley chose Northwestern because she desired an education that integrated faith with learning. 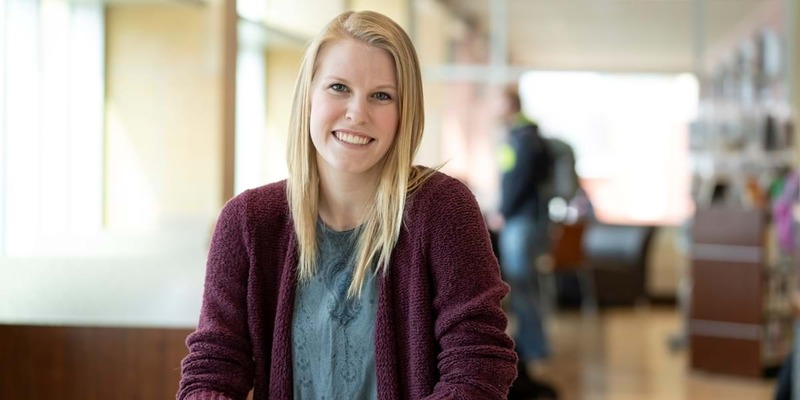 She also knew she wanted to study abroad and felt that Northwestern offered the best study abroad experiences of those she looked at during her college search. A RED101 Day sealed the deal for McKinley, as she loved her on-campus experience. A double major in accounting and business administration/finance, McKinley participated in Northwestern’s Romania Semester as a sophomore. Back on campus, she’s a cheerleader, both competitively and at Red Raider athletic events. My study abroad experience in Romania primarily consisted of making connections with the people and living fully in a different culture and language. The classes we took helped us understand the culture and learn the language so we could communicate and build relationships with Romanians. My faith was greatly impacted through my study abroad experience. I saw how vast and amazing God is. It was incredible to see other people worship God in a different language and watch how their community incorporates God into everyday life. I would tell students who are considering studying abroad to take the leap and do it. It teaches you so much about who you are, and you learn so much about other people. It is an experience that will show you a different culture and bring you understanding and respect for others. The Romania Semester is like no other study abroad opportunity. One of my favorite memories from my time in Romania was with my host family. They took me on a day trip to Deva, a city about an hour-and-a-half from Lupeni. We saw a citadel that overlooked the entire city, and it was amazing. The history and beauty of Romania is incredible. While we were at the citadel, a renaissance fair was taking place—there was traditional music, dancing and skits. I loved seeing how the participants used music and dance to show love for their country and its history. I’ve developed strong relationships at Northwestern. I’ve met great people who challenge me in the right ways. I appreciate the kindness the professors and staff share with students. The professors genuinely care about each student and want to see them succeed.